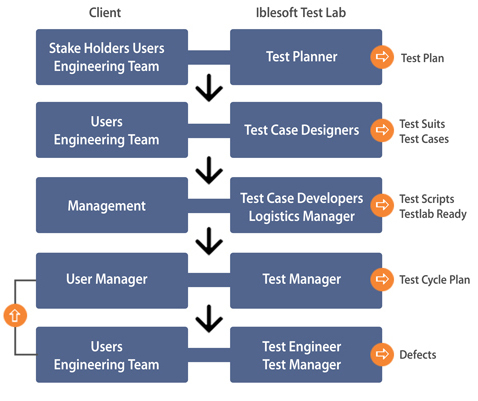 Iblesoft offers error-free testing solutions for clients across the globe. We are experts in providing quality testing solutions which can guarantee maximum efficiency in business operations. Our testing services are always based on what clients require and what can help clients eliminate errors from their business processes. We offer comprehensive testing solutions from performance to interoperability testing solutions, based on global business delivery model. 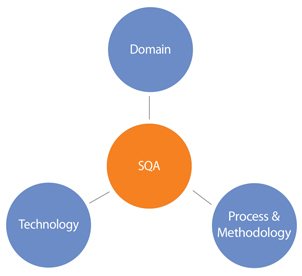 Our testing solutions are always domain-centric and success-oriented. We always focus on exceptional testing processes or methodologies to deliver quality testing solutions for our clients. We have an enormous amount of experience in providing testing solutions for our clients, no matter what domain their website, app or product is related to. We, with our team of experts who are au fait in multiple domains (such as healthcare, technology, service & retail etc. ), can let you get unequivocally the best testing solutions which can ensure efficiency in functionality of your business operations. Iblesoft makes use of the robust technological concepts when it comes to providing testing solutions for clients across the globe. We put to use the most results-oriented, iterative testing techniques and let our customers achieve their true purpose of taking the testing services from us. Whenever we take up any testing project for our clients with much more focus on then we first come up with the plan with much more on your basic business requirements and the technological trends. We put to use quality control procedures and strive harder and harder to make applications bug free or error-free. We keep our clients updated all the time. Our team assigned to the particular project always keep in touch with the clients to let the clients know more about everything that which we do for them. We frame up reports of our testing tasks, prepare a summary of what has been done and what is required to be done and present to our clients so that our clients can better understand the workflow. We test and re-test to ensure quality of the products or the applications. Our software testing methodology is applied in three distinct phases: unit testing, system testing, and acceptance testing. Unit testing is basically designed to test smaller units of functionality than the system as a whole. Extensive testing methodologies are adopted during the development phase itself by our experienced programmers. Our programmers test specific units and provide the reports. 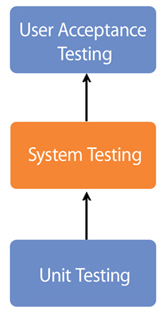 System testing involves the testing of the product in a complete way. First, the testing is carried out in the development phase and then in the production environment. Our team of dedicated testing professionals comes up with the most robust testing methodologies to make your software product or your app error-free or free from any bugs. Our team of professionals who have got years of experience frame up the reports on the testing being conducted. The system tested once is retested for better output and clear efficiency. Acceptance testing is carried out to assess the quality of the product against pre-defined system requirements. Here, clients can conduct the testing in the production environment to cross verify the quality of the product. Successful acceptance testing is always carried out to get the approval from the clients.